On the same day when the Election Commission escalated the recovery of Rs 11.50 crore in cash at a DMK candidate's house to President Ram Nath Kovind and got the Vellore Lok Sabha polls cancelled as a result, party leader Kanimozhi's residence was raided by Income Tax officials. This comes two days before Tamil Nadu votes on 18 April. 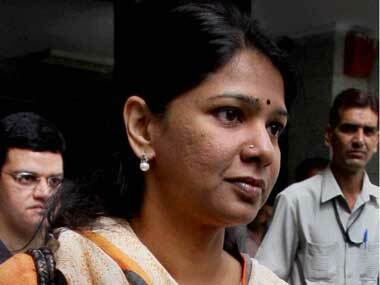 Kanimozhi is the DMK's candidate from Thoothukudi Lok Sabha seat and the sister of party chief MK Stalin. Early on Wednesday, after the raids were over, Kanimozhi told reporters that they were "anti-democratic, deliberately planned and tested". "BJP cannot prevent my success through this raid. They want to intimidate us through this. They have come to stop elections in Thoothukudi. But DMK volunteers will be working with more enthusiasm," she added. NDTV quoted its sources in the I-T department as having said that the raids were conducted on a "false tip" and that officials found no cash. DMK president Stalin pointed out that "BJP candidate Tamilisai Soundarajan’s premises has crores and crores of rupees." He added, "Why are no raids being conducted there? Who will take action? Modi has used the I-T department, the Central Bureau of Investigation, the judiciary and latest is Election Commission of India, to interfere in the electoral process." The Centre on Tuesday issued a "leave India" notice to Bangladeshi actor Ferdous Ahmed and cancelled the business visa given to him for allegedly campaigning for a Trinamool Congress candidate in West Bengal, officials said. Ahmed has also been "blacklisted" by the Union home ministry, thus jeopardising future visa approvals from India. The move comes hours after the central government sought a report from the Foreigner Regional Registration Officer (FRRO), Kolkata, on the Bangladeshi actor. Ahmed, along with a few Indian actors, allegedly took part in campaigning for TMC's Raiganj candidate Kanhaiyalal Agarwal. Congress chief Rahul Gandhi will campaign across Kerala's Wayanad constituency. This will be his second trip to the region since he filed his nomination from there and led a roadshow through the town. After addressing a co-ordination meeting of three parliamentary constituencies (Kannur, Kasargod and Vadakara) at Kannur, Rahul is expected to visit the Thirunelli Temple at Wayanad, where his father Rajiv Gandhi's ashes were immersed. He is then expected to address successive public meetings at Wayanad, Thiruvambady, Wandoor and Thrithala. Prime Minister Narendra Modi, meanwhile, is scheduled to address four rallies, one each at Madha in Maharashtra, and Himatnagar, Surendranagar and Anand in Gujarat. BJP national president Amit Shah will address two rallies at Baramba and Dhenkanal in Odisha. Uttar Pradesh chief minister Yogi Adityanath, serving a 72-hour campaign ban, will be travelling to Ayodhya and then Devipatan. The BJP, meanwhile, has urged the Election Commission to ban Congress president Rahul Gandhi from campaigning for the Lok Sabha polls and impose the "heaviest penalty" on him, saying that he levelled false allegations against Narendra Modi on the Rafale aircraft deal. BJP also urged the poll body to review its order banning Uttar Pradesh chief minister Yogi Adityanath from campaigning for 72 hours, claiming he did not intend to incite communal tension and had only expressed his beliefs. A BJP delegation including Union ministers JP Nadda, Mukhtar Abbas Naqvi and VK Singh also asked the poll body to take action against cricketer-turned-politician Navjot Singh Sidhu alleging that he tried to "spread hatred" with his speech in Bihar's Katihar constituency on Monday. Defending Adityanath, Nadda said, "Yogi ji only expressed his beliefs and did not intend to seek votes or influence any community." In Kawardha, the home district of former Chhattisgarh chief minister Raman Singh, a message from Congress, handwritten on a buffalo has earned the censure of animal rights groups, reported New Indian Express. "Listen to us (we are dumb creatures). Elect Congress this time. Vote for Congress," is written in Hindi on the buffalo's body, along with the symbol of the party. A video of the cow has gone viral on social media. The use of animals for campaigning goes against the Election Commission's Model Code of Conduct. 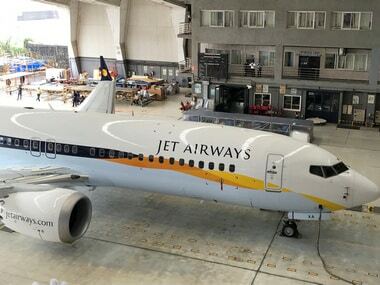 The crisis continued to deepen at cash-starved Jet Airways with just five planes remaining operational. The management has been making desperate attempts to garner emergency funds worth Rs 400 crore to stay afloat even as the lenders remained undecided on extending the lifeline. 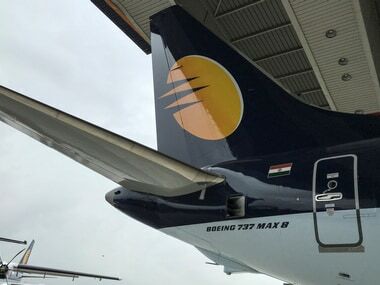 While the three-hour-long meeting of the ailing airline's board in Mumbai remained inconclusive, officials at the lenders and the government maintained that efforts are on to revive the carrier. However, the carrier's pilots union NAG on Tuesday threatened to seek resolution under insolvency law. Their salary dues have remained unpaid. With uncertainty mounting over the future course for the airline, which has been in operation for more than 25 years, its shares crashed nearly 19 percent during the day amid reports that the carrier might temporarily suspend operations. The RBI on Tuesday told the National Company Law Appellate Tribunal that banks will have to classify the accounts of debt-ridden Infrastructure Leasing & Financial Services and its group companies as NPAs in terms of its master circular and the Supreme Court judgement. MS Dhoni-led CSK look to continue their winning run and progress towards sealing the playoff spot against Sunrisers on Wednesday. Sunrisers have now suffered three consecutive losses – two of those at home; it is the first time in four seasons that SRH have lost two consecutive matches at home. Praveen Morchhale's Widow of Silence has bagged the Grand Jury Award at the 17th edition of the Indian Film Festival of Los Angeles, which took place from 11 to 14 April. The film revolves around the life of a Muslim woman who is struggling to get the death certificate of her missing husband. The Audience Award for the best feature was given to Anand Patwardhan's politically-charged documentary Reason, reported The Hollywood Reporter.